Fairfield Residential Care Home, North Oxford. 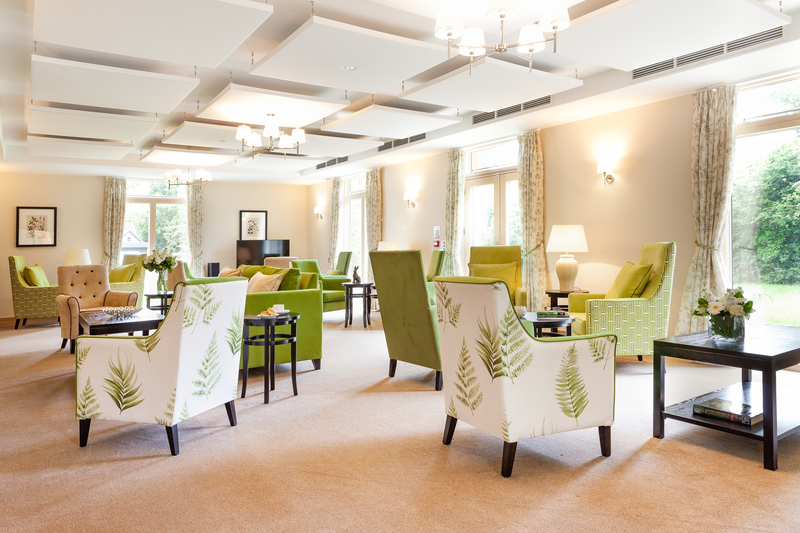 Supplied HomeSmiths with chairs, furniture and cabinetry for a new build 40 bed care home built in the grounds of the current home, a Victorian villa. Reflect the vision of the new build and fulfil HomeSmiths’ interior concept with quality furniture which would appeal to the residents moving from the very traditional setting of the existing home to the new contemporary living space. Shackletons are pleased to have supplied HomeSmiths and Fairfield Residential Care Home with high-quality chairs, furniture and cabinetry for a new build project in North Oxford. “At HomeSmiths we always research the area in which the project is being built to link it with the local history. For this project, we took inspiration from the University of Oxford Botanical Gardens”. “We’re extremely pleased with the finished scheme and the feedback from the client and residents has been extremely positive. The fresh and on trend botanical feel allowed us to be confident with our colour choices”. Following completion of Fairfield, HomeSmiths made finalist for the 2018 SBID International Design Awards in the Healthcare and Wellness category. This global design award is a fantastic opportunity for HomeSmiths. The entire Shackletons team are proud of HomeSmiths’ amazing achievement.